The beer taps(?) are advertising Byrne's and Miller's too. I loved those little bits. In the panel that has the "Breakfast Special" sign outside the window, you can see a menu right by Jean that says "Annie's Diner." Hmmm. I have no clue what's going on with Magneto here. Everyone else Jean's interacting with in wherever-this-is (white hot room or whatever) is dead. Banshee, Scott, her parents, Thunderbird, Madrox, Moira, Annie. So how is Magneto there. 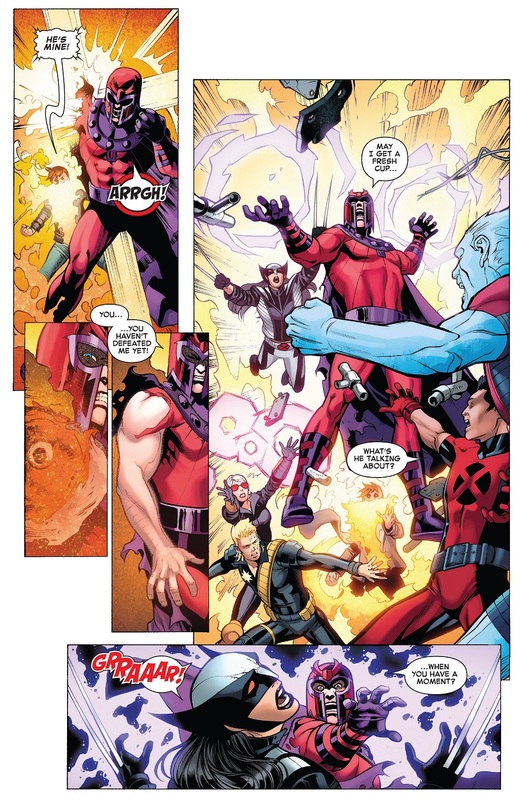 Magneto is probably dead too, depending on the story or timeline where this is happening. 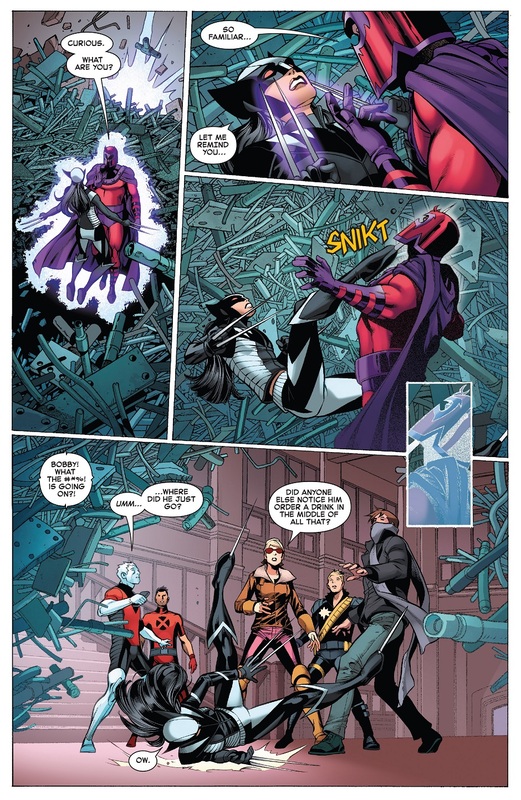 Or Magneto left a powerful impression right before he killed her back in Morrison's run. I mean he's currently dead in X-Men Blue, but that's time travel shenanigans and the O5 are currently going back to prevent themselves from killing him and I don't think both stories are taking place concurrently. Is Xorneto canon again? Because if its Xorneto here I guess that might make sense? He's been dead before. Maybe you only need to have died, not necessarily stayed dead. Of course if that were the rule, then most of the X-men would be there as well. Since Banshee came back from the dead during Uncanny Avengers as a Horseman of Apocalypse and is presumably on ice somewhere while they cure him of being evil... and who honestly believes Madrox is dead? I'm pretty sure writers are completely ignoring that Banshee was a Horseman and was still alive at the end of that arc. Sentry is back and they're ignoring it, they ignored it for Grim Reaper too before his most recent death. They are finally acknowledging it for Daken but he was completely uninfluenced by the deathseed for years until now and needs an external power source to access its abilities. 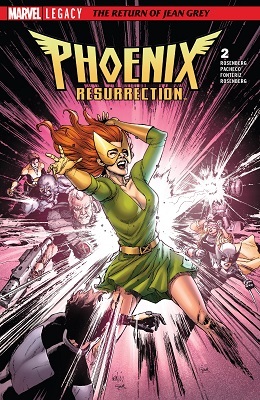 If they wanted to use that storyline as a resurrection for Banshee they would have by now. They could easily retcon Jamie's death. But as dumb as it was they established that all of his duplicates had somehow died. So until they explicitly retcon it, this is what we're stuck with. Well, he didn't recognize Laura so it might be a time traveling Mags (who has somehow gained the ability to regenerate arms). I'd guess it's a part of Jean who acknowledges her death, though. One thing I really like about 1 and 2 of this series so far is how appropriate Jean looks. She's a waitress, so she has on a sensible outfit. I love Jim Lee, but if he draw this, she'd be wearing some skimpy skin tight waitress outfit with her midriff showing and mini-mini skirt. Is this a commentary on Magneto's frequent resurrections? If so, I'm not sure its a point best made around Jean. 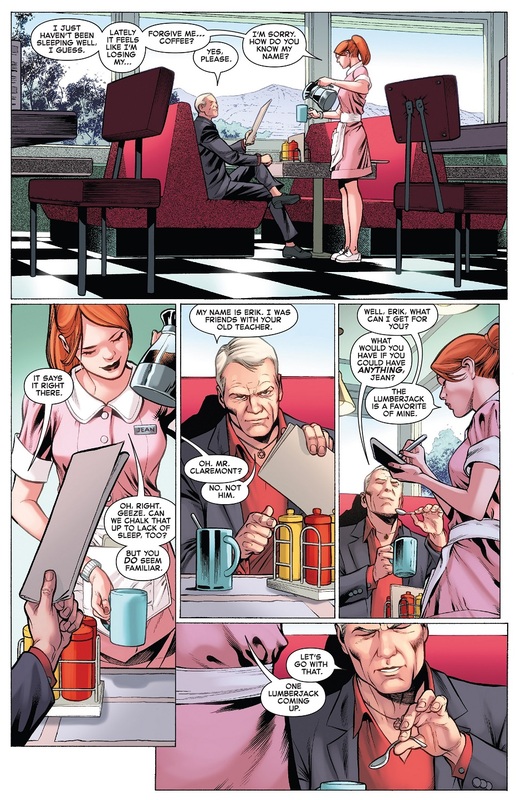 Also what terrible thing did Jean do to be damned to be a waitress in the afterlife?